Captain Fred Wiegand was OIC all of the seven USA Corps of Engineers Water Well Drilling Detachments in Vietnam in 1971. 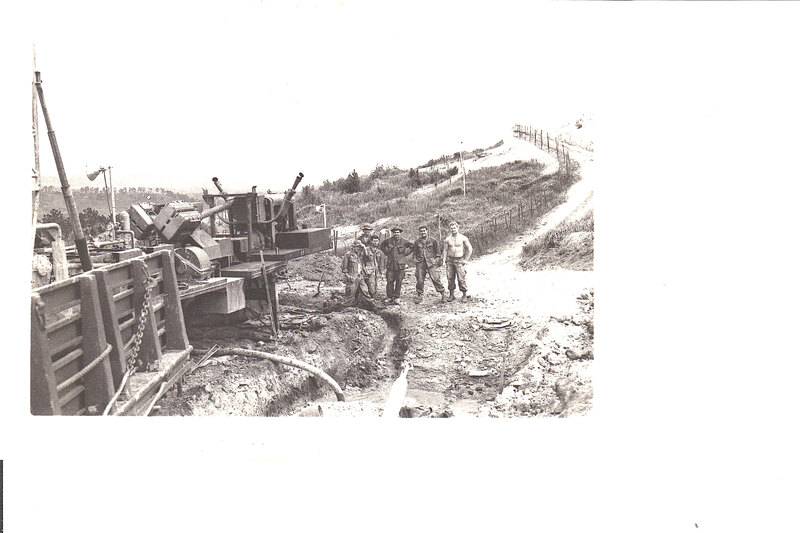 Cpt Wiegand led his Water Well Drilling Detachment up past Goodview Pass and the dam, up the mountain roads, across the booby-trapped bridges, up to Pr'Line Mountain to the main microwave site in Vietnam that handled all signals from Okinawa to Inida during the Vietnam War. This signals station was one of the most important for the war because it was on the 2d highest mountain in Vietnam, per USA data. The microwave dish was about 100 feet in diameter, but was routinely shot up with bullets. A company of ARVNs and a company of USA military police co-defended the installation on a daily & nightly basis from minor ground attacks, with multiple defensive lines of triple concertina wires, trenches, roads, armored cars, mortars, M 60 machine guns, and many Claymore mines. The PA & E waterwell on the North side of the mountain, was a dry hole; so Cpt Wiegand removed it to salage the ESP. He drilled another well nearby, but it was also dry. So he drilled two wells on the South ( rainy ) side of the microwave signals installation; and those were good; and provided potable water for the microwave station from 1970 to the end of the war circa 1975. The main reason the waterwells were so important to the installation was that the USA water trucks sent from Pr'Line Mountain microwave station to Dalat ( the French Provincial capital city ), were shot with bullets on a daily basis, so that by the time the water tank trucks returned from Dalat to Pr'Line Mountain; all the water had leaked out of the bullet-ridden water tanks. Since the site was more than 7,000 feet above sea level, USA helicopters could not easily deliver water in heli-lift tanks called "Water Buffalos". Memories of 1970 as recalled in September 2010, after visiting Ho Chi Minh City, Port of Saigon ! More photos of Vietnam 1971 never before published in 39 years, to be published soon.